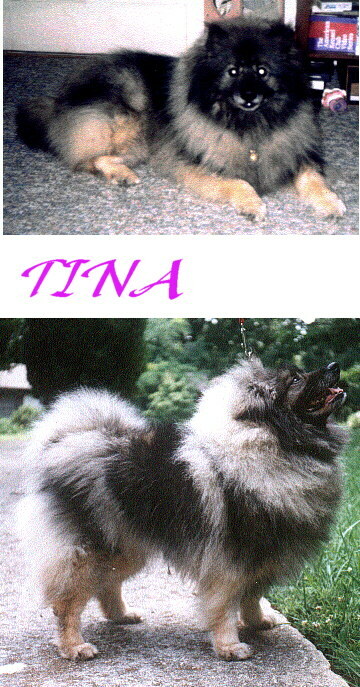 CH TEGANS PRIVATE DANCER-TINAthis lovely gal is owned and loved by Gay Maier. Tina is the proud mother of "the boys" CH MARRKEES DANCING UP A STORM (see Beanie babies pg 1)-CH MARRKEES DANCING ON THE WIND-(see Beanie Babies page 3)-CH KEYSTONES UNIQUELY MARRKEES! (see Beanie babies pg 2) AND TIMMY TOO-Marrkees Dances in the Wind!! (see Beanie babies pg 12) She is a very lovley old gal who in her prime did some wonderful winning and then proformed better in the welping box then could be hoped for! And she continues to give to my breeding program in the outstanding Grand kids produced from her sons!